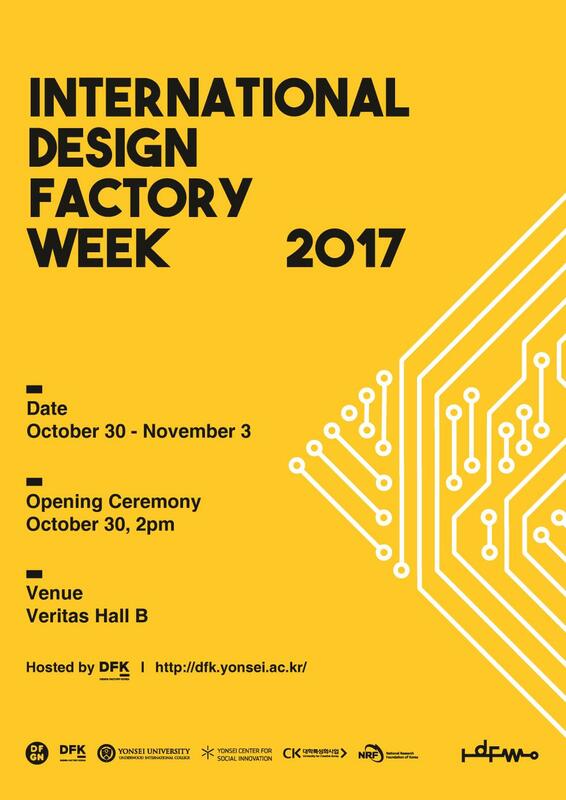 The 6th annual International Design Factory Week (IDFW), a collaborative event by the Design Factory Global Network (DFGN), will be held between October 31st to November 3rd, 2017, right here in Design Factory Korea (DFK). As part of DFGN's initiatives this semester, CTM students have participated in the major's SOCIAL INNOVATION CAPSTONE PROJECT 2 course to seek and resolve social problems using IoT technologies. Teams were provided with Raspberry Pi modules at the beginning of the semester to actualize their solutions. The IDFW exhibition is located in Veritas B at YIC, Songdo, and each team's panels and prototypes will be on display throughout the duration of IDFW. For detailed information on each team's project, visit: https://management-technology-4mdw.squarespace.com/.